Posted on August 12, 2018 by Ching under Travel, Zumba. While we didn’t get our favorite room this year (22638), we did make the best of it. 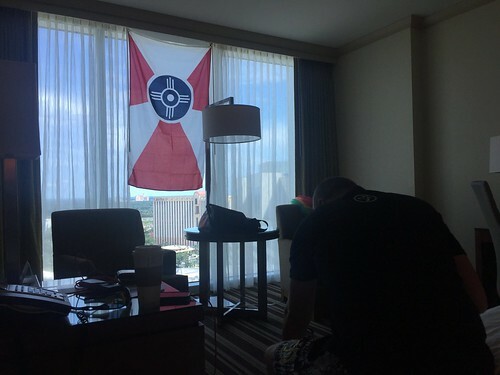 We hung our flag up and made it feel like home. 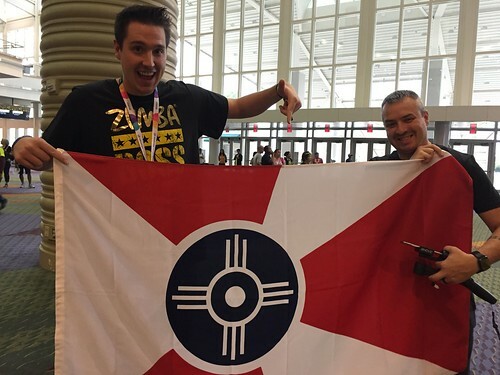 Brian also did his fair share of pimping the Wichita flag by wearing it. Here here is, walking from our hotel room to the convention kickoff. Here are a few photos of Joel and Brian while we were waiting in line for the fitness-concert event. Joel always makes everyone look so diminutive. 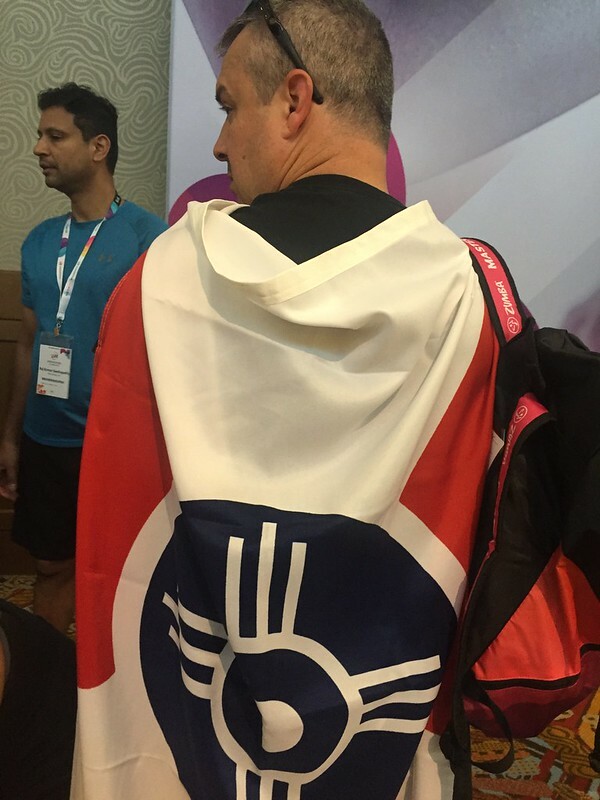 Here’s Brian showing off his flag cape. 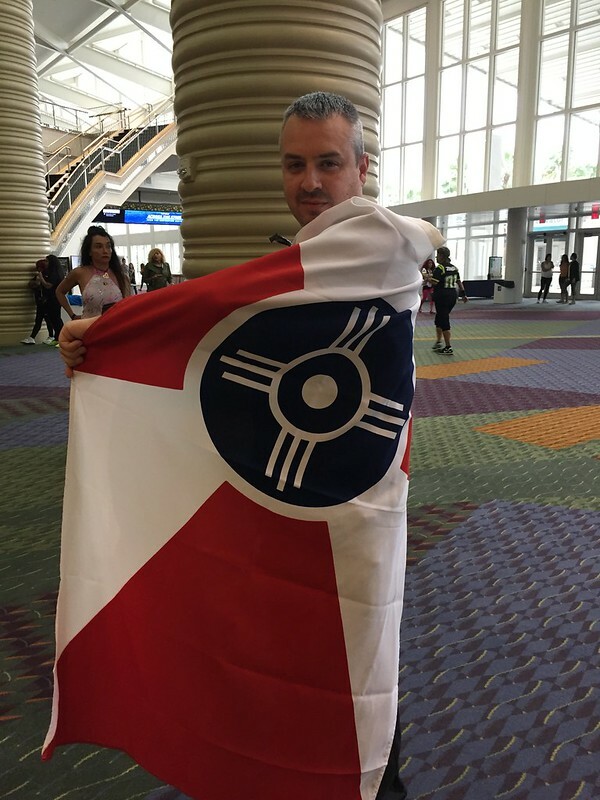 I really regret not having photos of me with the flag. This one was so big though. 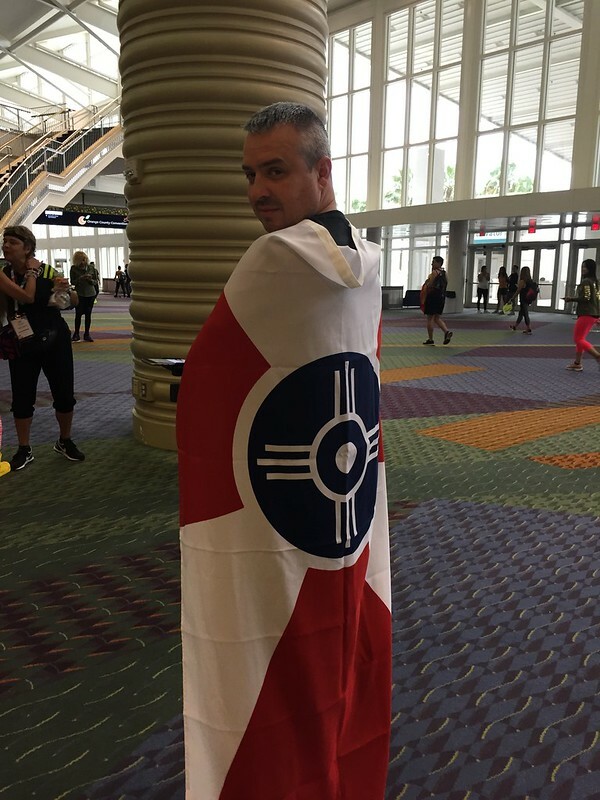 I couldn’t wear it as a cape because it would drag on the floor when I did. I didn’t really want to carry it around either. I may need to get a smaller, more portable flag (perhaps one on a stick) for next year. The one benefit of the flag is that it helped Bobbie find me during kickoff. 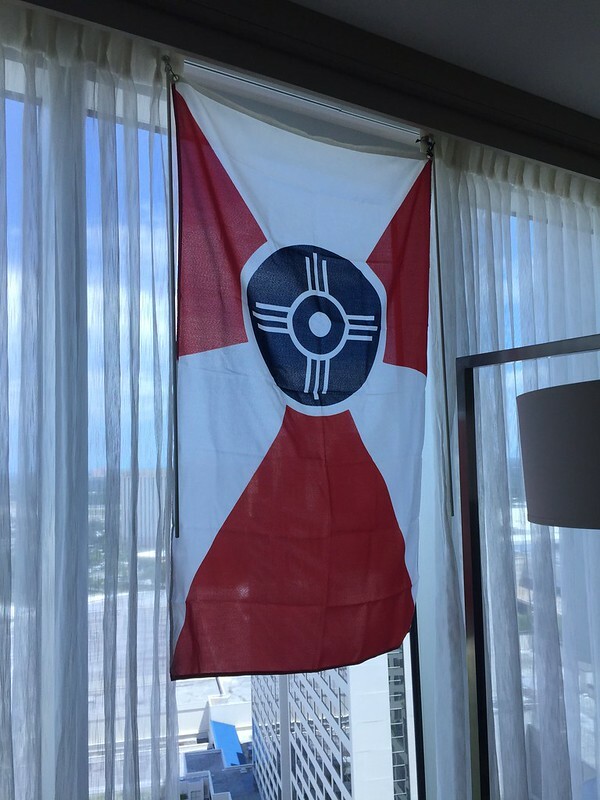 And, it was a great conversation starter because people would inevitably ask, “What country is this?” and we would have a good laugh about it being a city flag rather than a country flag. That’s all for now. 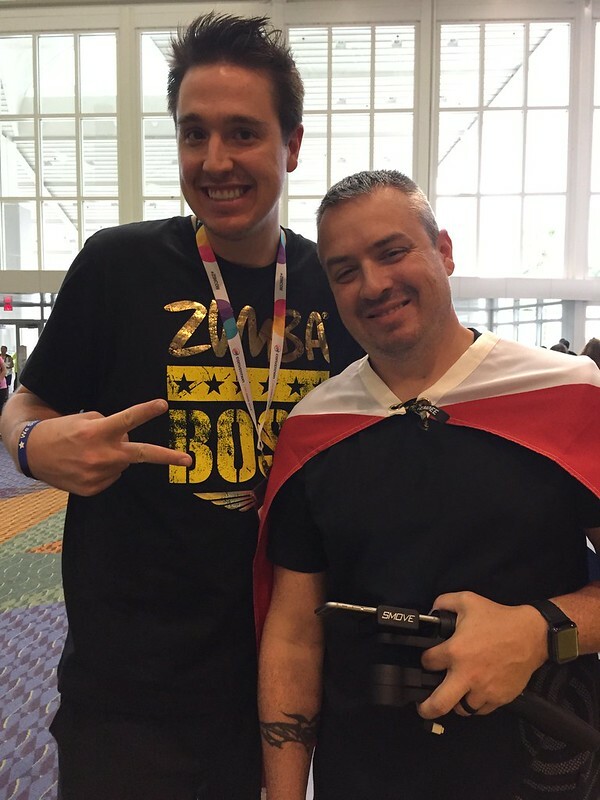 Check back soon for more ZINCON recap. GNG!